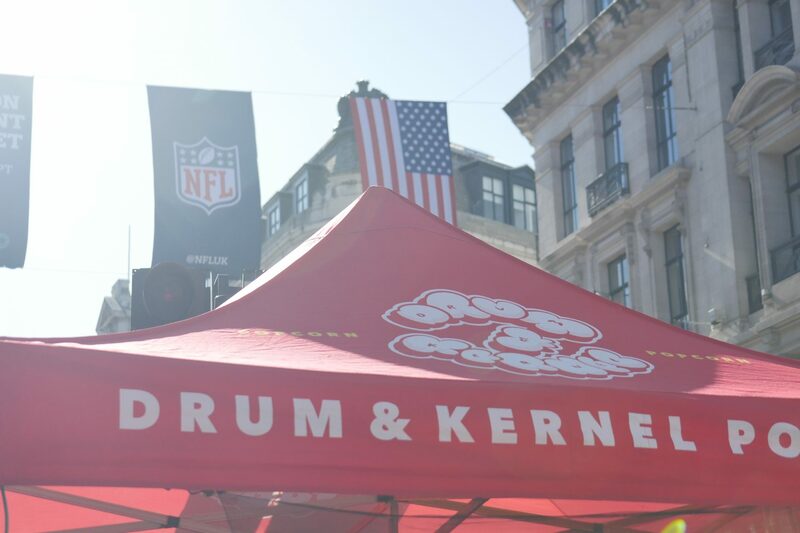 We are London's most experienced makers of kettle corn. Over the last five years, we've hand-popped over ten-thousand batches & each time we pull on the welding gloves, we aim to make the very best popcorn possible. We pop our sweet & salty kettle corn in an open drum; that way, we can caramelise sugar around the corn as it pops. Then, each batch is salted to taste, for a perfectly balanced flavour. You will only find us at markets & events. Watch the video to see us make a batch. Our popcorn is gluten- & nut-free, vegan, made with British sugar & non-GM corn & corn oil.